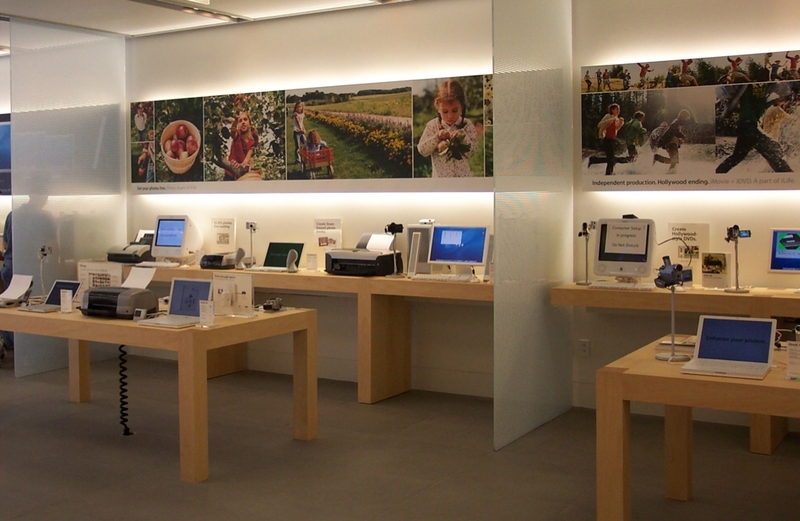 The Pittsburgh Apple store is open. Welcome to the neighborhood. The kids section is fun, everything is hands on, and the staff is (as should be expected) friendly and knowledgable. Three cheers for genius (and CMU grad) Meredyth for giving me the tour. Plenty of Birkenstocks were in evidence, as was lots of brand new, shiny merchandise. I don't even need a new Mac and I found myself glad that I left my wallet in the car. I believe psu may be following up with some photos of the opening day's line soon. Here is my picture of the line. This is from about 1/2 of the way in, and you can almost see the head of it three blocks up. The car in the foreground is iconic, I think.